Ralph Christian, 6, held the book tightly in his hand. In that cramped and poorly ventilated room filled with excited bunch of grade 1 pupils, his tiny voice, reading in rhythmic patterns, was going through the pages of "Ang Alamat ng Lansones." He was unmindful of the tiny other voices trying to rival that of his. He was pensively reading, that with a total youthful intent. 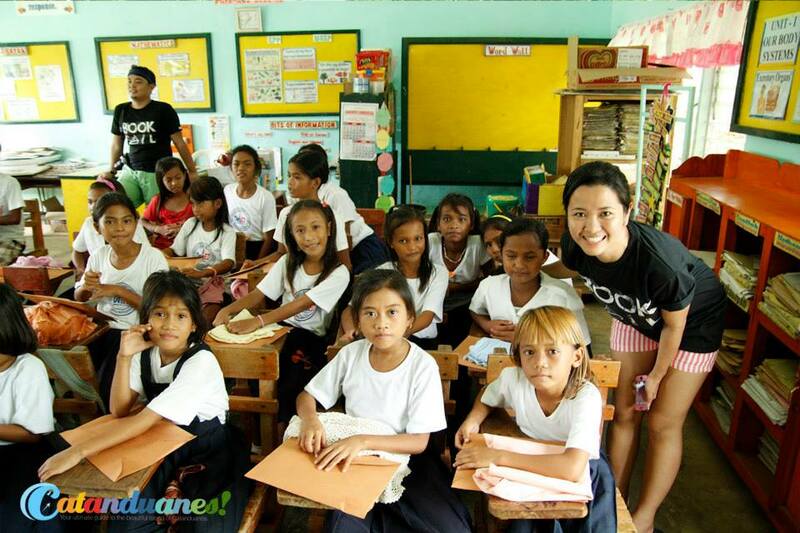 I was also in that classroom with Ralph Christian along with seven other volunteers who came mostly from Manila. We were all ears at his reading. 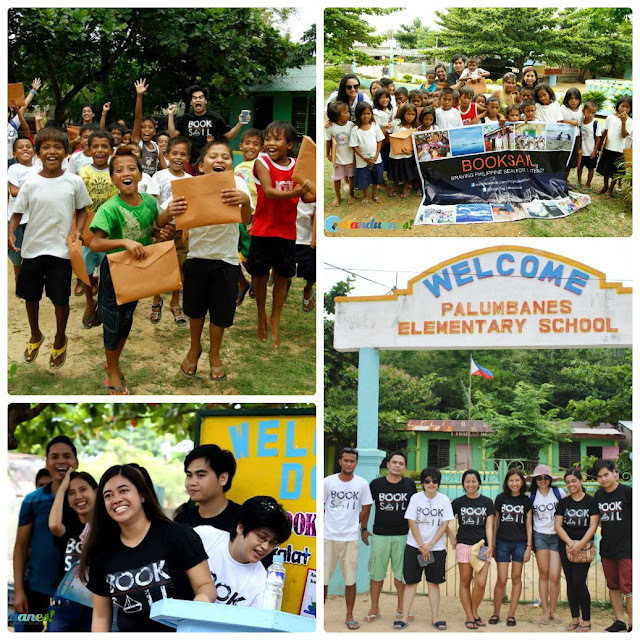 It was a special day for him and the rest of the kids and teachers in Palumbanes Island Elementary School. The books they have been waiting for months has finally arrived. Although it was a Saturday, the attendance in the school was swell. We could see the eagerness in the eyes of the kids. 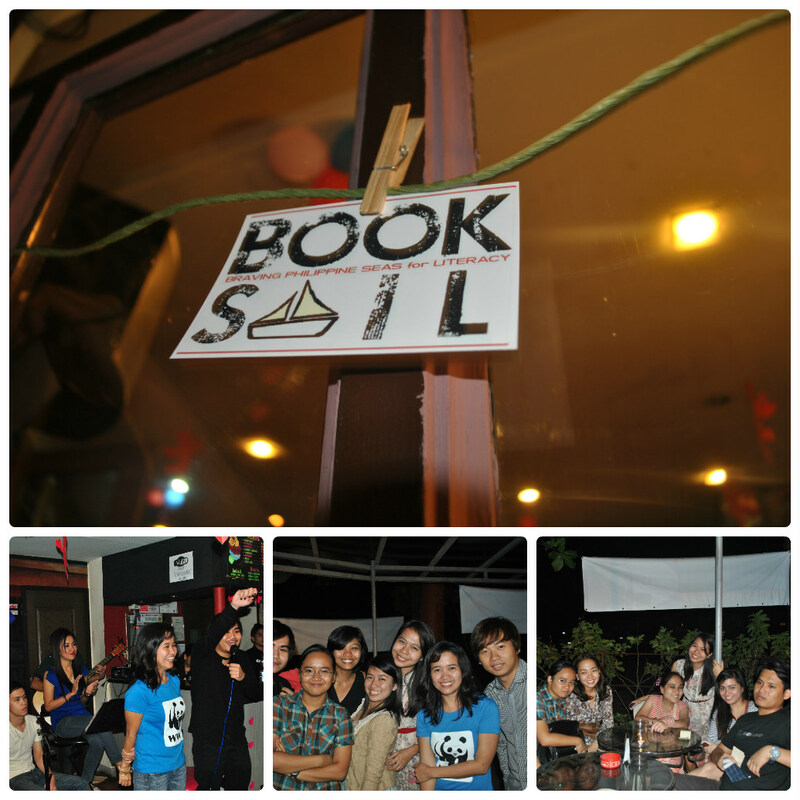 And the whole BookSail volunteers were as enthusiastic as they were. After months of collecting the books and school supplies, BookSail finally made it in Palumbanes Island, Caramoran, Catanduanes, last June 21. It's my pleasure to announce that each of the 373 kids received a kit with pads/notebooks, pencils, crayons, sharpeners, eraser, story/coloring books, and ruler. 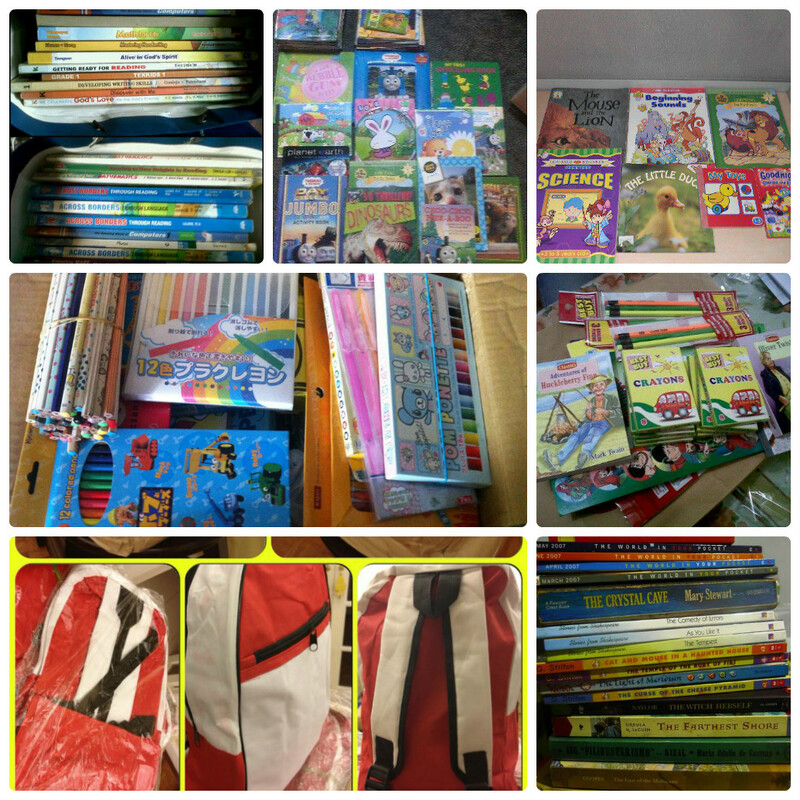 The books and other reading materials were turned over and received by the school Head Teacher, Sir Yoy Sales. 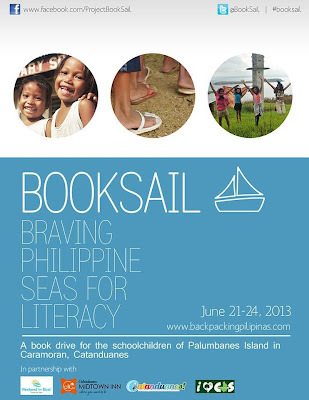 In behalf of all the BookSail Volunteers, I'd like to express my heartfelt gratitude to everyone who supported this project. To all our donors and supporters, thank you! 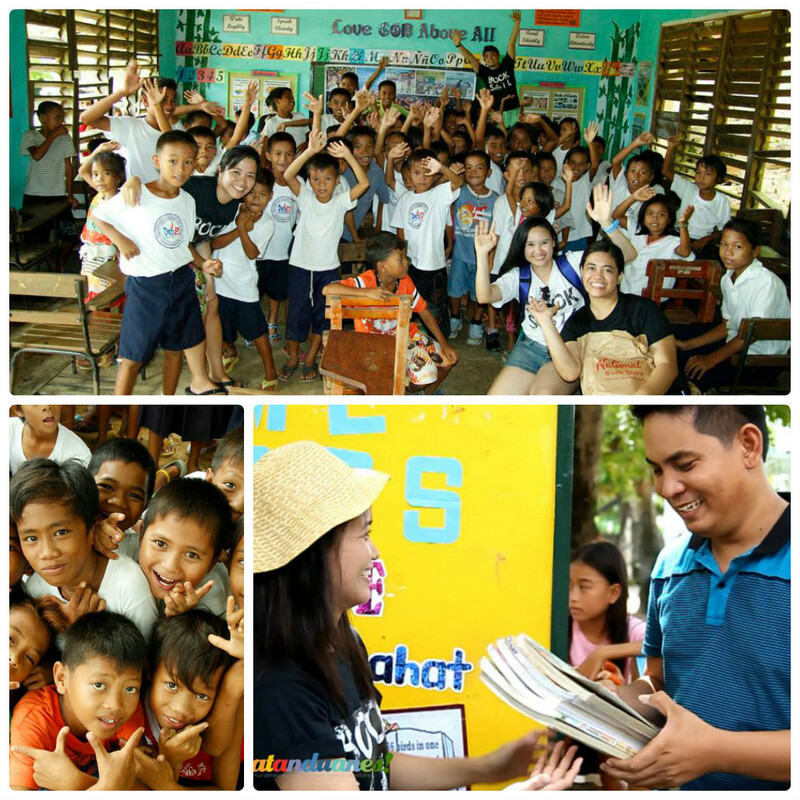 I'm sharing with you all the highlights of this project -- the long road we took, literally and figuratively, to get the books sent to the kids of that small and remote island. Some of the best ideas about this big project were conceived during rounds of meet-ups with fellow volunteers. From discussing the project title, to brainstorming about the benefit dinner, to working out the collection process, and finally to sorting, packaging and shipping the books, the volunteers took time to attend despite their busy schedules. 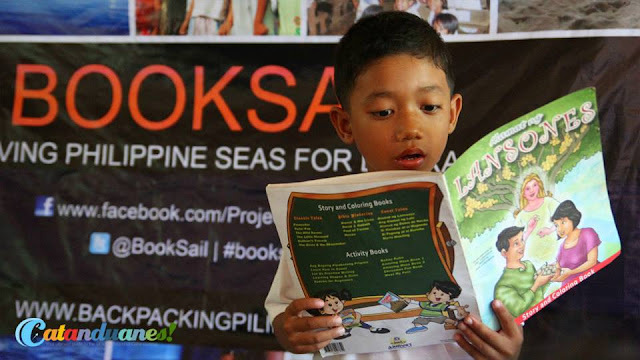 Last February, some 77 people attended Plates for Books, a benefit dinner for the schoolchildren of Palumbanes Elementary School. This was the first event held for our BookSail project in which we have gathered a substantial amount of money that we used to purchase books for the kids. Thank you to the awesome team of Mirage Manila for making the event possible! Thanks to Nikko Quiogue for designing the first BookSail poster. After more than 24 hours journey from Manila, we finally set foot in Palumbanes Island! This remote island is located at the northern part of Catanduanes, about 5 hours away from the province's capital town, Virac. From Manila, we had successions of bus, RORO, bus and banca rides before finally stepping in this island. We met the kids the following day after we arrived. 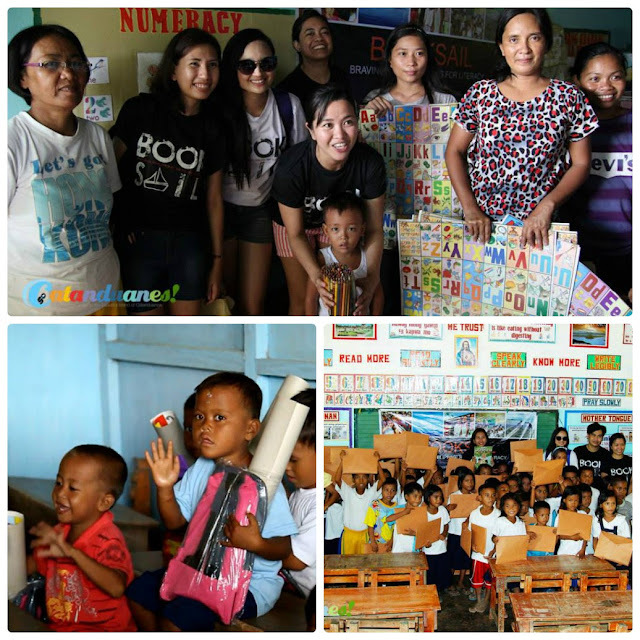 A short program was prepared where we had games, read-along sessions, turn-over ceremony, distribution of the school supplies, and photo-op in each grade level. Thanks to the teaching staff of Palumbanes Elementary School for the warm welcome. Special thanks goes to Rolando Gurrobat and Family, Tito Torres and Family, Jun Rodriguez and family! After we started blasting posts about this project through our Facebook page, an outpouring support came. 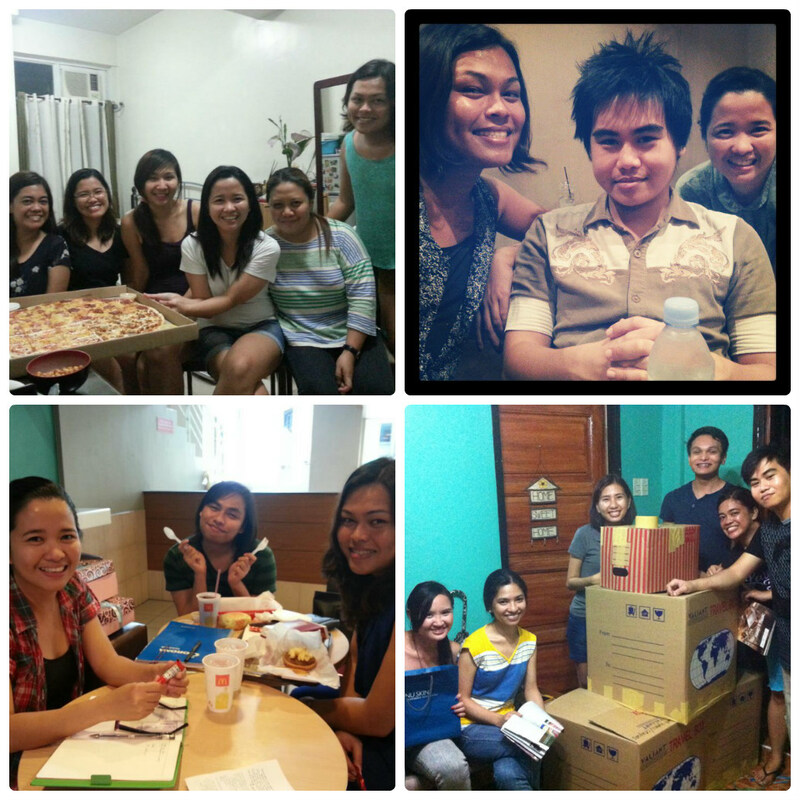 From March to June, donations from many parts of Manila, other parts of the Philippines and as far as Japan trickled in. The donations were mostly from people and organizations, many of whom we have not met or known before, but nonetheless very supportive of the cause. With so much gratitude, thank you! Bicol University friends- Shiela, Sarah, Maricar et al. 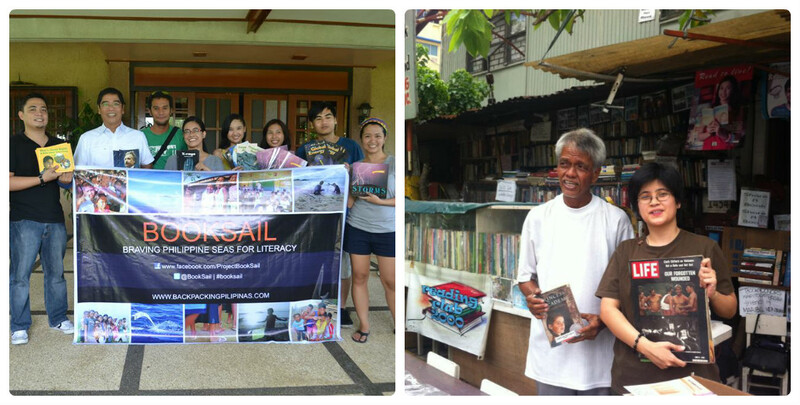 BookSail project would have not been this successful without the support of our sponsors. Cong. Cesar Sarmiento - for the P5,000 cash and book donations. Thank you for your support, Cong! 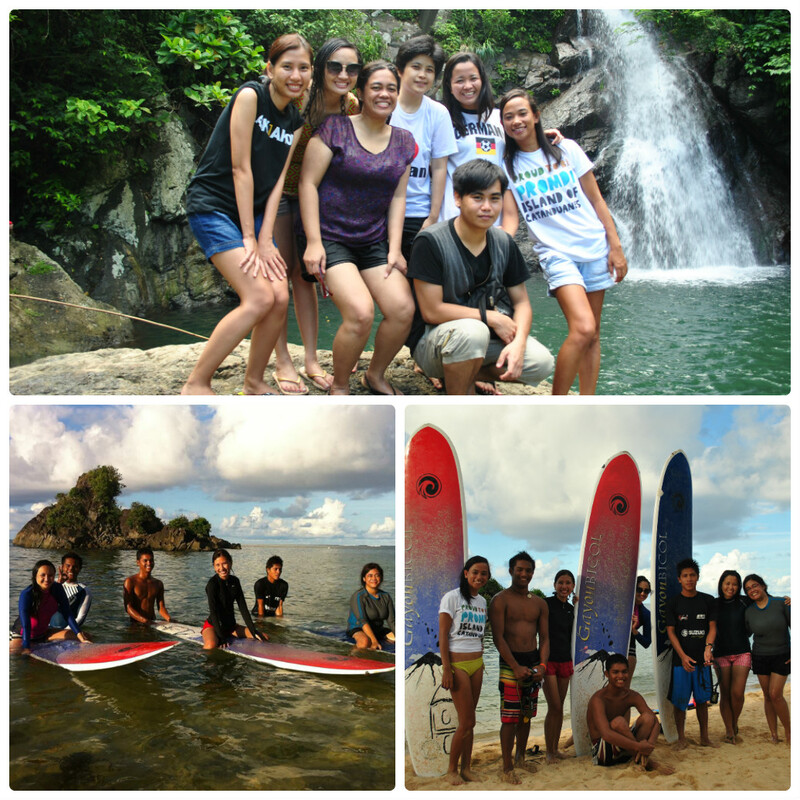 Weekend in Bicol - for touring us around some of the best spots in Catanduanes. Do check out their site www.weekendinbicol.com for some very affordable tour rates around the most beautiful places in Bicol. Catanduanes Midtown Inn - for the comfortable overnight accommodation during our stay in Virac. GoCatanduanes - for covering our turn-over event in Palumbanes Island. Thanks to Ezra Efondo for capturing the amazing moments during the distribution. The most rewarding experience I had as I handed the brown envelop to the kids was when I saw the big bright smiles as soon as they peeked what's inside it. It just melted my heart to see these kids very eager to learn! It magnified the purpose of why we were there in the first place. And I thought it would be so nice to replicate the same experience on to another remote island, seeing happy smiles, again and again. To everyone, once again, thank you! To learn more about this project and how you may help in the future, please check this link. wow.. hope to join/partner in one of your projects.